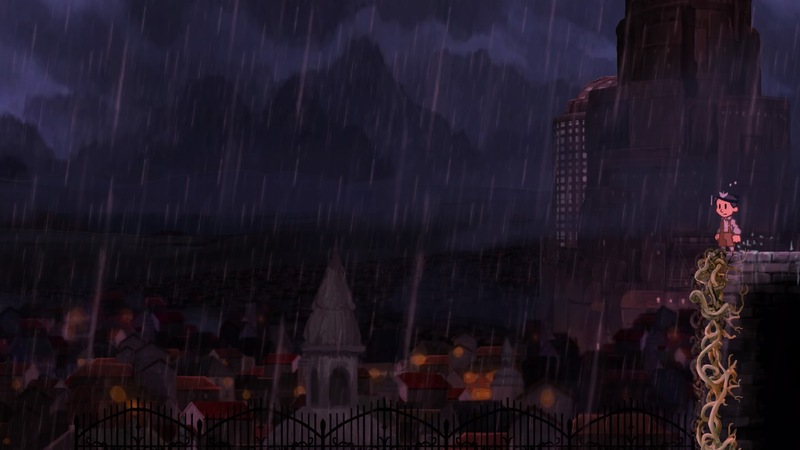 Teslagrad is an indie puzzle-platformer developed by Norway-based Rain Games. It takes place in a European steampunk-derivative world with a gloomy Players control a nameless young boy, fleeing from his home when it’s stormed by . Throughout most of the game, the boy climbs and explores an enormous tower teeming with strange machines and obstacles, discovering tools and challenges based on electricity and magnetism mechanics. The game is developed using the Unity engine, which is likely the reason a small indie company managed to get it ported to Wii U, PS3, PS4, and PSVita in barely a year and a half. The game was also released internationally (distributed in Japan with the help of Unity Games Japan and Square Enix). This solidifies its status as one of Norway’s biggest indie success stories. While occasionally frustrating, Teslagrad is an entertaining experience with interesting puzzle mechanics and tight controls. The game also takes place against a gorgeous backdrop of painterly art, eerie electric lighting, and bleak and beautiful music. Let’s break it down into categories. Teslagrad has pretty bare-bones interface, providing essentially only a map and a list of collectibles. There is no HUD whatsoever (as there’s nothing for it to track) and the controls are introduced as needed, whenever a new tool is acquired. The game thrives off of its simplicity, and the controls feel natural and responsive. Jumping, moving, and grabbing ledges handles well, and more unique mechanics like using magnetic fields to float or launch yourself generally feel natural and consistent, despite at times being a bit inscrutable. While at first it’s tough to remember which buttons control red and blue versions of your abilities (effectively just opposite polarities), I was found that I got the hang of it pretty quickly. If it helps, Red is the Right bumper/trigger. My biggest problem with the game’s interface is that the collectibles that can be found throughout the rooms aren’t marked anywhere on the map; even if you’ve seen them but couldn’t reach them, you won’t know where to go to find them. This might not be an issue, except that to reach the end of the game you’re required to find a certain amount. Since each of the collectibles is often a challenge to get to even when you do see it, I pretty quickly decided that it wasn’t worth aimlessly backtracking in search of them, and I opted to use an online guide that showed only their locations (and figure out how to retrieve them on my own). I would have loved for this to be simply built into the game’s map. The core gameplay of Teslagrad is basic platforming, climbing, and exploring. Throughout the tower, players encounter a variety of obstacles and puzzles based on a magnetism mechanic. Objects with a red charge repel other objects with a red charge, and attract objects with a blue charge. The puzzle gameplay is probably the most well-paced aspect of play, gradually introducing new challenges that build off of understanding gleaned from previous ones. Many of the rooms nicely blend skill and timing with quick-thinking and mastery of the puzzle mechanics. While largely puzzle-based, the game also focuses heavily on action and execution. Early on, players get a new gadget that increases their mobility (I found it to be a clever substitute for something like a double jump) and allows more challenging movement and navigation. There’s not a lot in the way of timing jumps on moving platforms or anything like that; most of the game is more focused on dodging and avoiding obstacles as you move. Often the action gameplay is integrated into the puzzle mechanics, require quick thinking and understanding of the magnetism rules and interactions. The difficulty of the game is largely tuned around the fact that the boy has no health bar. One hit by any obstacle or enemy is death, and this is adjusted for by including frequent checkpoints throughout the various rooms. Despite the fact that there’s no established visual representation of where the boy will respawn when he dies, I pretty easily found myself trusting that I wouldn’t be sent that far back. The game rarely insists that you repeat yourself over and over to make that last jump or make it to the door. There is, however, one notable exception. Boss fights. These were the most challenging part of the game by far. I almost want to say that they were too difficult, and for some players they certainly will be. Personally, however, I found them to be pretty rewarding. All of them are tightly designed, creative, and allow the player to gradually learn how to cope with the various attacks. While sometimes boss actions can seem sudden and unavoidable, they’re often easily avoided on consecutive attempts. The boss attacks are interesting and some are fairly unique, but they’re very learnable and intuitive to dodge when you understand what they do. Often, fights require several attempts to learn the mechanics, and several more to perfect the dodging and counterattacking. Even though I thought the fights were pretty interesting and were a good challenge, they’ll likely be polarizing for anyone playing the game. Especially early on, the non-boss sections are very forgiving (less so further into the game) and have frequent checkpoints. If the challenge of fighting bosses is frustrating then it could mar the appeal of the game as a whole. Those willing to buckle down and beat the bosses will find their persistence rewarded. The game’s overall progression is fairly linear, but it weaves in and out of the main shaft of the tower. This makes a lot of the collectible hunting pretty manageable without too much backtracking. The actual game is a reasonable length; I didn’t find it to be particularly short or long, and it’s nicely paced with a sort of puzzle-section-followed-by-boss-fight-approach, with some of the puzzle sections granting the player new tools along the way. Boss fights got progressively more challenging and some of the later ones did tricky and clever things with the magnetism mechanics. One of my biggest complaints is that one particular important boss was extremely underwhelming, and failed to make any use of the magnetism mechanics that make the game so interesting to play. This isn’t a deal breaker, but it did deny the game as a whole some of the satisfaction it would have otherwise imparted. Introduction and pacing of puzzle mechanics is very well executed and generally hits that sweet spot between “they just gave me the answer” and “I had to figure this all out on my own”. Most of the rooms set you up to succeed by building gradually on what you’ve already learned, but they still make you feel clever when you figure it out. 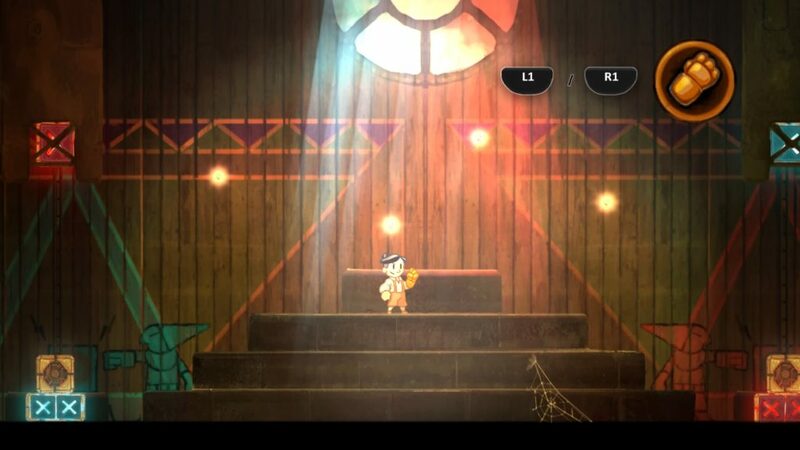 This kind of subtle teaching is crucial to making puzzle games accessible, and Teslagrad executed it pretty well. Completionists may find the game a little bit lacking; while there are a decent number of collectibles to find, I found it frustrating to actually find them blindly and instead used a guide to tell me where to look. Many of them are still challenging to acquire, but searching for them wasn’t appealing to me. Aside from the main game and the collectibles (which can be gathered pretty quickly), there’s nothing else to do except get the alternate ending that’s possible once you’ve acquired them all. The game could probably stand to have some more interesting achievements focused on optimized play (like clearing boss fights within a time limit). 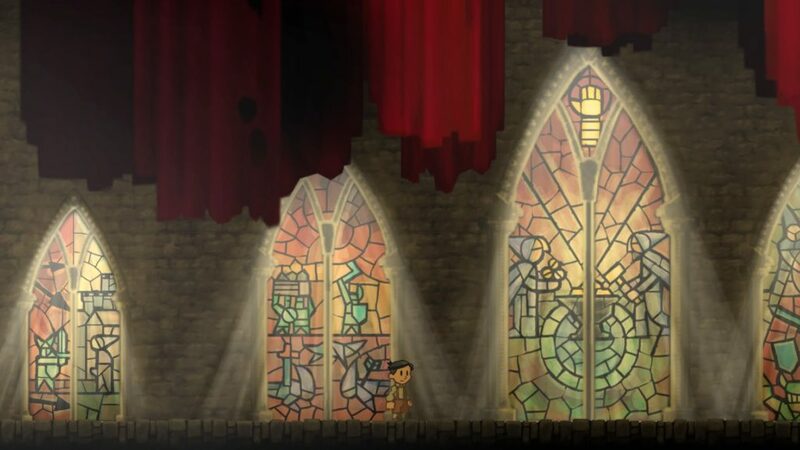 Teslagrad is full of wonderful artistic content. The backdrops have a gorgeous painterly aesthetic, the character animations are fluid and expressive, the various mechanical creatures and bosses have pretty cool designs and the entire game has stellar lighting full of electric glowing red and blue. The screenshots really speak for themselves here. Sound design is also nicely executed. Mechanical rumbling and clanking resounds from objects the player interacts with, and most of the players actions have solid, crisp auditory feedback. This gives the boy’s abilities a satisfying and makes them feel really nice to use. Music is generally minimal during puzzle sequences. However, nice gloomy string sequences swell up during the story sections, which are largely delivered by odd theater rooms in which the curtains part and puppet-like cutouts dance around the stage. The music also comes in hard during the boss fights, which employ dramatic and tense orchestral tracks. The music often had an immersive quality to it; even if I wasn’t actively noticing it, it was helping to pull me into the game. The least successful artistic aspect of the game is the story. The game’s story is vague and mostly uninteresting, revolving around an inventor (who looks rather like a magician and is apparently behind the game’s fantastical mechanical creations) and a king who uses the inventions. While it’s interesting that the story uses absolutely no text (which is a neat trick to make localization easy), the puppet show format feels out of place and awkwardly integrated. While the two different endings are pretty nice, they lack the emotional impact that they strive for because the earlier parts of the story are so weakly established and shallow. The world in which the game takes place is not really explored beyond its sheer aesthetic. I’m not sure this is all that much of a criticism, but there was certainly potential to dig deeper. All in all, Teslagrad is an enjoyable puzzle platformer with wonderful art and some pretty neat mechanics. While the story leaves a bit to be desired, the game delivers its setting nicely and the areas throughout the tower are fun to explore. Boss fights will be satisfying for some, but for many their inconsistently difficult nature will be a deterrent. If punishing boss fights aren’t a deal breaker for a puzzle platformer, this game is an enjoyable experience that’s worth playing through.